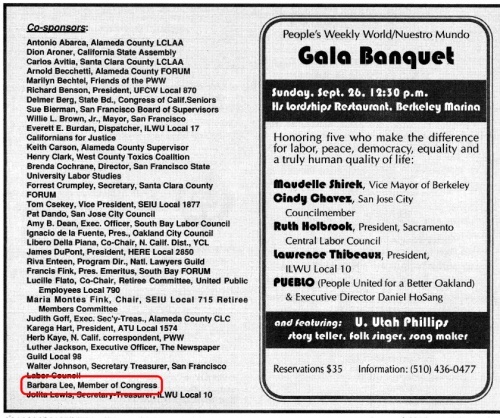 In 1992 Henry Clark, executive director West County Toxics Coalition, Richmond, California, endorsed the Committees of Correspondence national conference Conference on Perspectives for Democracy and Socialism in the 90s held at Berkeley California July 17-19. David Schwartzman, prof. of zoology, Howard Univ., Washington, D.C.
Conveners, and Endorsers (organizations and individuals) of the People's Congress of Resistance as of August 9, 2017 included Dr. Henry Clark, Executive Director, West County Toxics Coalition. This page was last modified on 10 March 2018, at 20:31.